1999 – A professional headshot of me taken by a photographer in Tribecca when my wife and I were living in New York City. 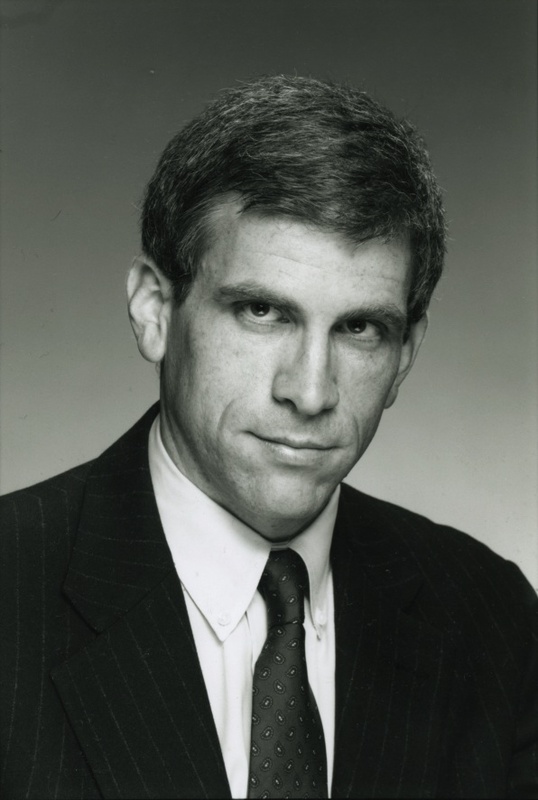 I took my glasses off for this shot because the lenses, as I recall, didn’t have an anti-reflective coating, and because the photographer was going for more of an intense lawyerly look. I have on a Ralph Lauren navy blue wool suit with gray chalk stripes that I bought for $50.00 at a thrift store in Asheville, NC. It was memorable because, though a great suit, it was one of the most expensive thrift purchases I’ve ever made, but I still wear it occasionally. I’m not sure where I got the button down shirt and foulard tie. Both were likely thrifted. 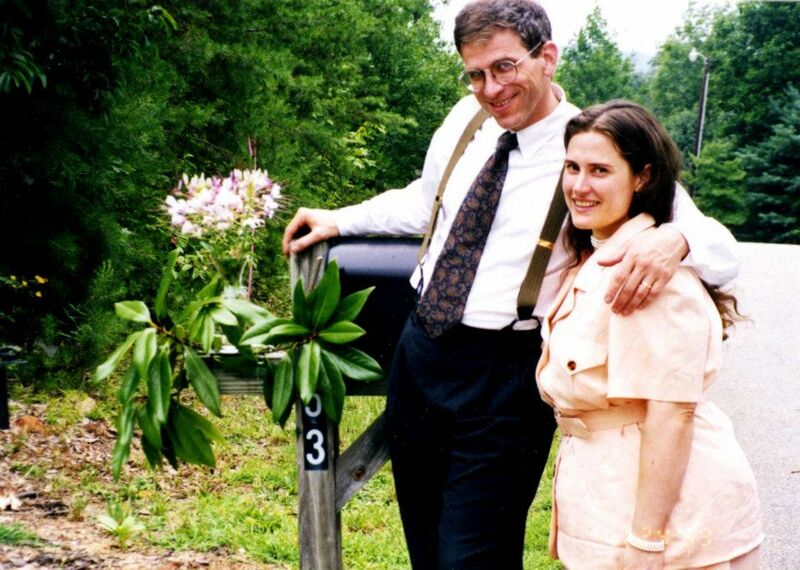 1999 – My beautiful wife and I on our wedding day outside her aunt and uncle’s house. They hosted the reception. I have on a charcoal gray suit with suspenders, a paisley tie with navy background and a white button down shirt. 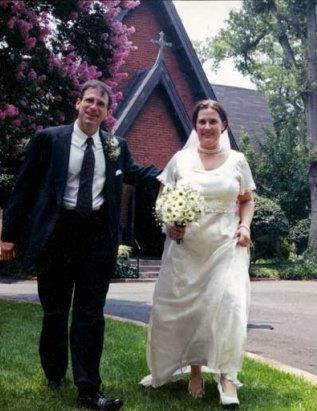 1999 – Outside the small Episcopal chapel where our wedding ceremony was held in Greenville, SC. I think my wife looks lovely here! Opting for simplicity, we kept the invitation list to 50 and had no groom’s men or bride’s maids, just a priest, a crucifer and musicians. We designed and printed our wedding announcement and program for the ceremony and asked that there be no gifts (though this was largely ignored). We tried! The coup in the do-it-yourself approach was my wife’s wedding dress. While we were in New York, she selected her own material from a shop in the Garment District and took it to a boutique in Williamsburg, Brooklyn. She asked them to design a party dress, which cut the cost down considerably. The cap toe dress shoes I’m wearing with the charcoal gray suit were polished, but cracked, and had a small hole on one of the soles – likely visible to our guests when we knelt at the altar. We’ve been happily married for 13 years. As we look back on the wedding, we’re glad that we kept it a simple ceremony. The organist was wonderful. There were solos from a friend who was a professional opera singer. A string quartet of classically trained musicians, my wife’s friends since childhood, played for us. It couldn’t have been a more prefect day. 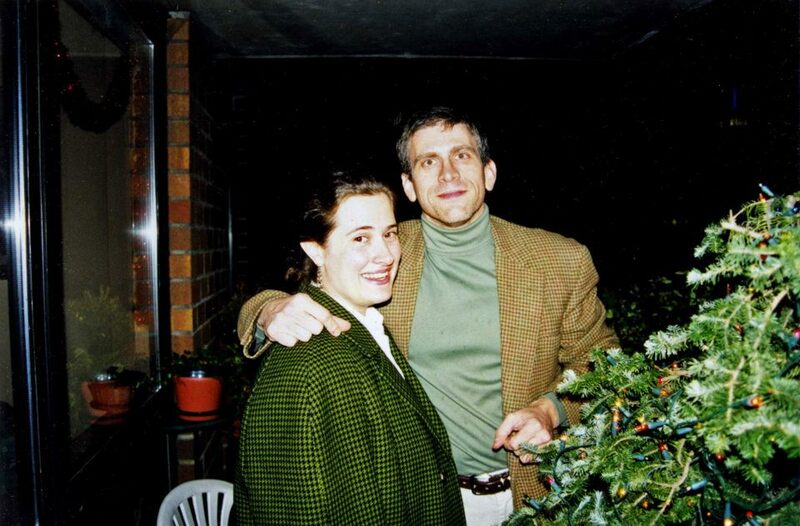 1998 – My wife-to-be and I on the balcony of a friend’s apartment in New York City. You can’t tell here, but we were on the 44th floor high above 9th Avenue near Times Square. We had been invited to a Christmas party. I have on a wool houndstooth sport coat, a sage turtleneck and a pair of khaki pants. My wife is wearing a vintage (60s) green and black houndstooth jacket whose design was very Sherlock Holmes. 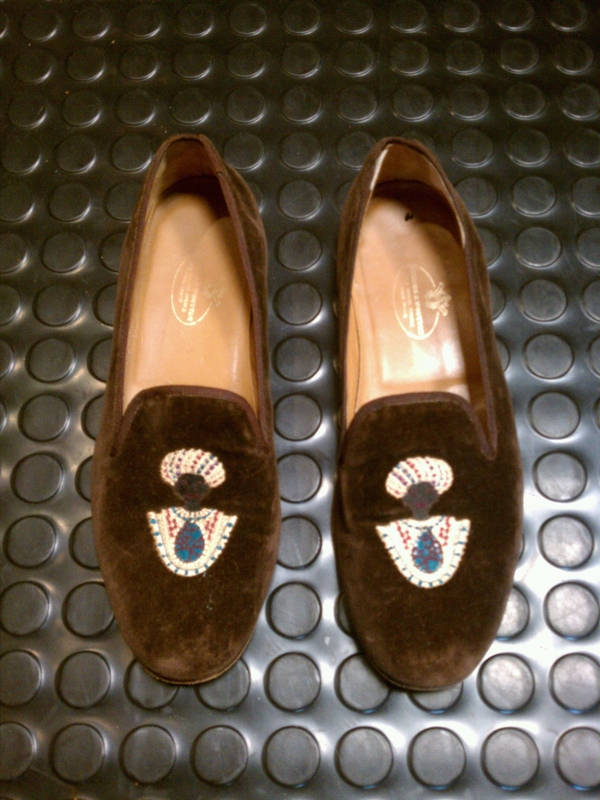 That was a thrift find at Anne Merchant’s Time Warp shop (now out of buisness) in Greenville, SC. I still have that jacket, too. 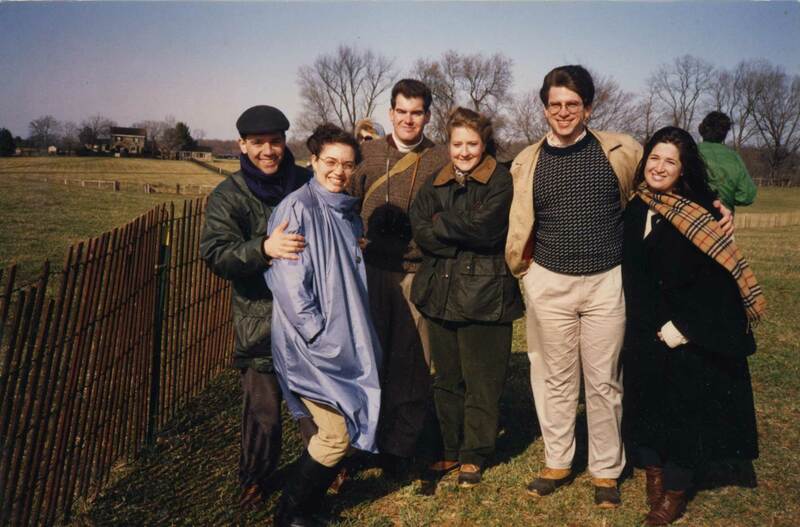 1993 – With friends in Upperville, VA after the fall Piedmont Hunt Point-To-Point races. I’m wearing a light windbreaker, a classic Norwegian Fisherman’s Sweater from L.L. 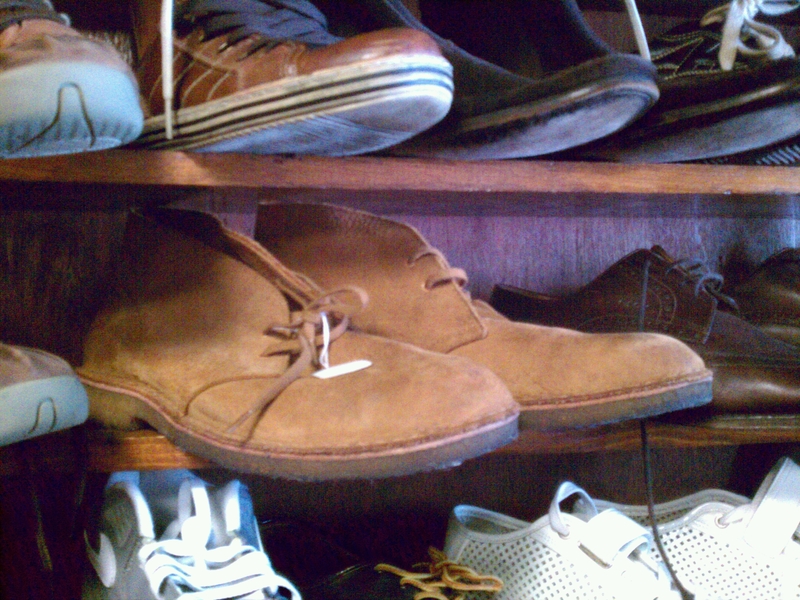 Bean, a pair of rumpled khakis – rumpled being their usual state – and Bean Boots. Among my friends is a sampling of Barbour, Burberry and Brooks Brothers. On a Saturday afternoon thrift expedition last summer, my wife and I stopped at The Salvation Army in Danbury, CT. Their store occupies two floors of a building (several thousand square feet) in the downtown area. It is a gigantic warehouse full of amazing clothes, and if you ever go there, you should be prepared to spend several hours if you want to find the really good stuff. It takes time to weed out all of the clothes that just don’t cut it (that’s code for clothes that contain acrylic, polyester or poly/cotton blends). 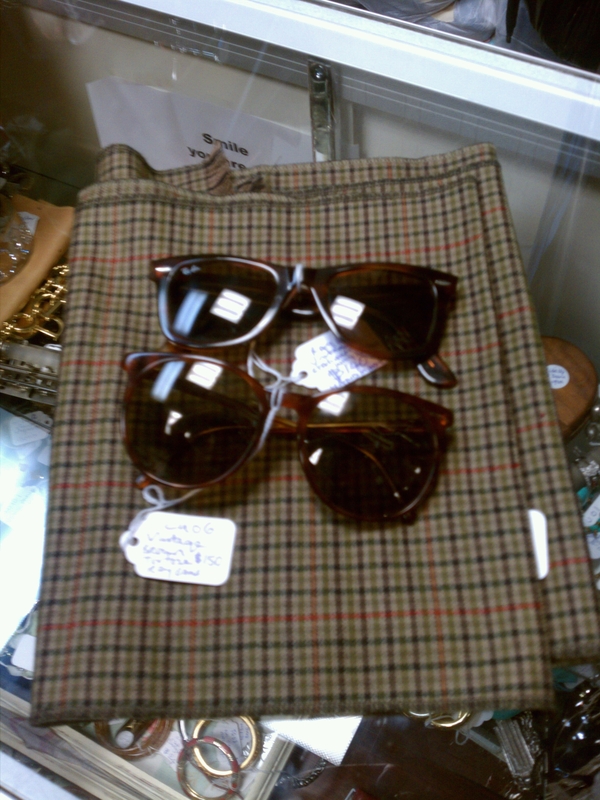 I had several good finds on this trip, but the best deal was a 2-botton tweed Burberrys’ sport coat for $9.99. It’s actually a Burberry knock off. The lapels are 3.5 inches at the widest point. I also found a slate blue 100% cotton Land’s End turtleneck for $4.99, which I paired with the Burberry, khaki pants and penny loafers this afternoon. 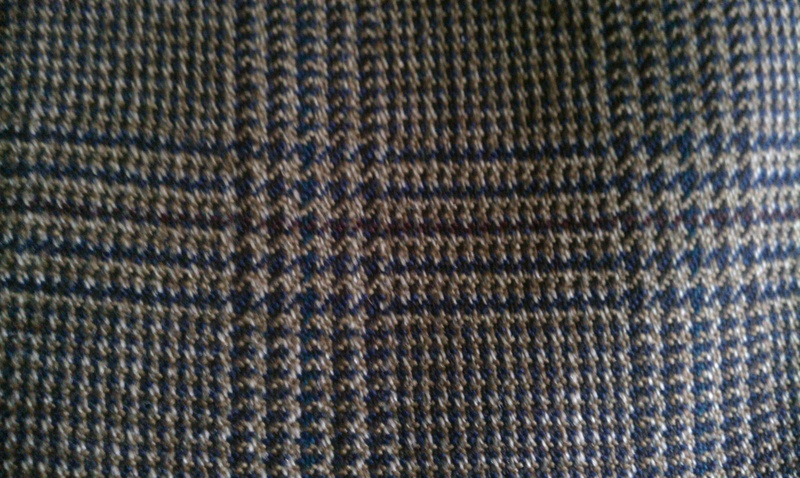 The pattern on the sport coat has several colors running through it: slate, navy and maroon. 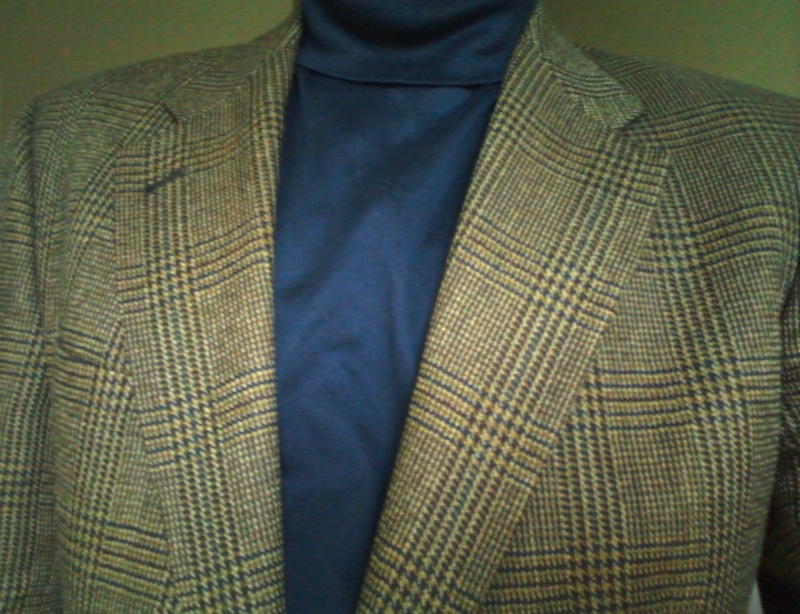 The turtleneck really picks up the slate blue stripe of the sport coat. I had to have two alterations done: the sleeves had to be shortened so that I could show 1/4 inch of cuffs when wearing a button down, and a slight ridge appeared below the collar, which my tailor took out (a task he calls “lowering the collar”). 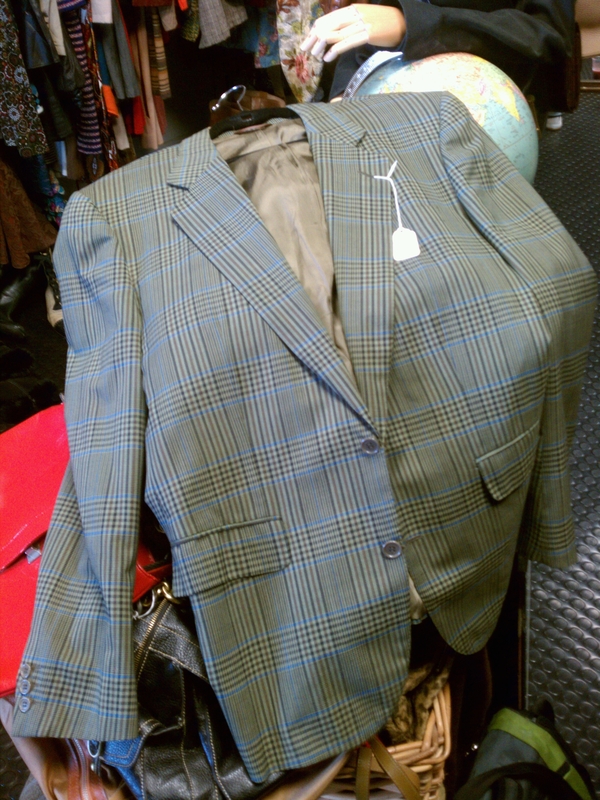 Another find that day was a 3-button Corbin sport coat for $9.99, which I’ll post about some other time. It was english style, double vented in the back and with two pockets on the right side – a smaller one on top. I also bought an Oleg Cassini 2-button sport coat with a small houndstooth pattern of maroon and navy over a dark brown background. The magic price for that one: also $9.99. Rounding out the haul were two Land’s End button downs (pink and white) at $4.99 each and an assortment of wool sweaters none of which cost more than $5.00. The Oleg Cassini looks amazing with the pink button down, by the way. As a general rule, I prefer a 3-button, natural shoulder, sack cut sport coat over any other kind, but I will occasionally buy a 2-button model if I really like the pattern. Some exceptions are necessary, I suppose. All in all, this was a good day of thrifting, costing less than $50.00. If I’d bought everything new, I conservatively estimate that I’d have paid at least $500-$700.